Today: One of Brooklyn's most beloved bakeries now has a cookbook, so the whole country -- nay, the world -- can adopt their sweet-salty recipes, including practically perfect scones and secretly vegan cookies. Bonus: We're giving away two copies! If you live in New York, you likely know that Ovenly, Erin Patinkin and Agatha Kulaga's Brooklyn bakery, makes damn good baked goods. 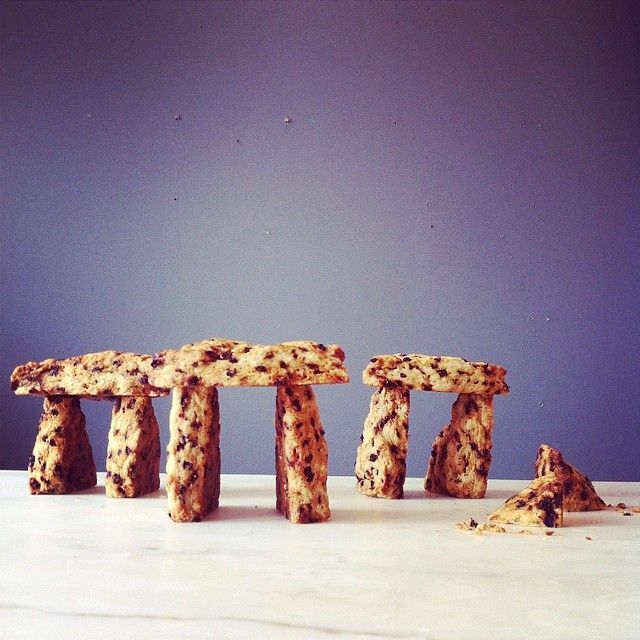 Their scones are an herby, salty, platonic ideal; their chocolate chip cookies have something of a cult following (they are also vegan, but few people know it). If you don't live in New York, just know that these things are excellent, the result of careful, whimsical, skilled tinkering, the kind of thing you should come visit us for. Luckily for all of you, Patinkin and Kulaga have scaled down some of their favorite (and most-requested) recipes for a new cookbook, full of cakes and muffins and, yes, cookies and scones, ready to find a new home in your kitchen. The book tells Ovenly's very scrappy genesis story with plenty of delivering-cookies-by-foot and delivery-van-breaking-down memories. It is an honest account of what it takes to start a business; the anecdotes that ensue are endearing and inspiring and often hilarious. Like the best of cookbooks, reading this feels like you're in the kitchen with this self-described "very yin-yang pair" while they rattle off memories and shoot you tips for shaping your cookies and choosing your baking pans. They are probably wearing really adorable aprons. 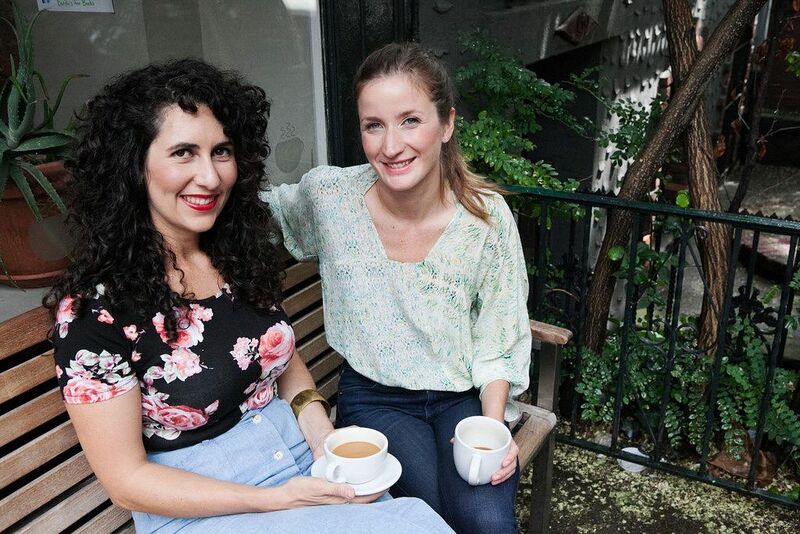 Once Agatha and Erin have taken you along on their journey and shown you how they got from desk jobs to Planning Session Number One to Scones in Every Coffee Shop You Like 'Round These Parts, they want you to go off on your own, using their recipes as inpiration and building blocks for your own kitchen. Most recipes iclude a "Get Creative" box, with suggested variations and tips for altering the recipe. The details they include about ingredients will help you feel comfortable developing your own recipes, as will their just-sciencey-enough explanations of the why and how of baking. The photography is beautiful and inviting, the perfect balance of moody-but-bright. More: Pick up Agatha and Erin's advice for spicing up fruit desserts. Like any good bakery cookbook, there are plenty of cookies and cakes and brunchy treats to keep you happy, a solid balance of basics (a base quickbread recipe) and things unique to the DNA of this particular pair (Bloody Mary Scones; Muffin Bread Pudding!!!!!!! ; a salted apple bread with a savory breadcrumb topping). It is a cookbook very of its place. As such, it's a welcome addition to the shelves of bakers who want a few new tips (finish your pie on the oven floor to make sure the bottom cooks through), or a spark of inspiration for new flavor combinations. It will warm the hearts of anyone who enjoys a good underdog story or sports-training montage. If you don't find something that inspires you to bake in this book, you might not have a soul, or you're just cranky and wanting for a cookie, in which case you definitely need a copy. More: Here's a cookie. Chill out. Here's what Agatha and Erin have to say about the book, how they bake, and what sort of magic fairy dust they put in their scones. How did you want this book to be different from other baking books? We really wanted to include our own personal stories and the story of the growth of the business in the book. Our histories, our love of food, and the stories of the start of Ovenly not only shaped our recipes; they shaped the direction of our business. We hope that our readers will get a better glimpse into what it takes to start a business and keep it going, and what an adventure it can be. We also hope that our audience has fun with the book, and gets creative with our recipes by trying as many variations as possible. How do your personal baking styles differ? How has that shaped your recipes and your business? Agatha has a much bigger savory tooth than Erin, who has a raging sweet tooth. Agatha is often more adventurous with flavor combinations (think Currant Rosemary Scones) and Erin is often more interested in perfecting traditional recipes (think Salted Chocolate Chip Cookies). Often, when we work on recipes we have to compromise on how sweet-savory each new product is. 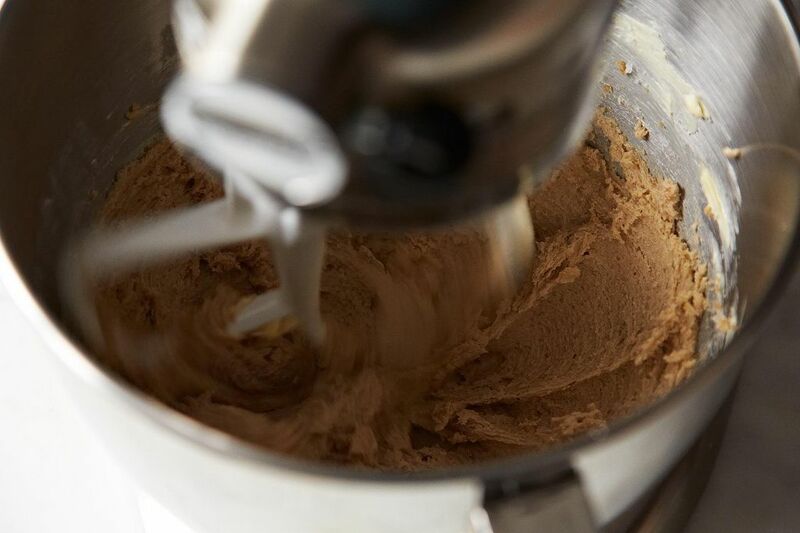 This push-pull tends to result in a nice balance in all of our baked goods. And that balance is the foundation of everything we make at Ovenly: recipes that play on tradition and that are sweet and savory with a touch of spice. What were the recipes in the book most requested by your customers? Hands down, the number one most requested recipe is for Brooklyn Blackout Cake (dark chocolate stout cake topped in salted dark chocolate pudding buttercream). Our scones and our salted chocolate chip and gluten-free peanut butter cookies are the runners up. 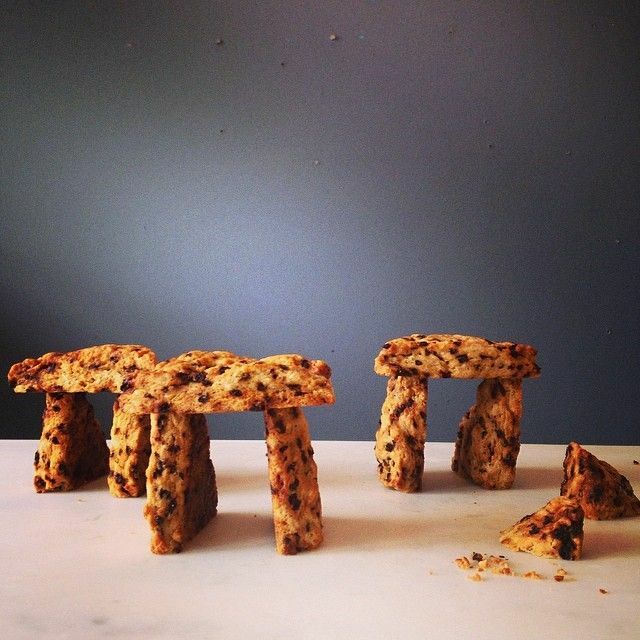 More: We love Ovenly scones so much, we turned them into a sconehenge. Get the recipe, make a batch, and express yourself! Are there any flavor combinations that you've tried that have been huge failures? Turns out that bacon, chocolate, and carrots don't go so well together. Lesson learned. What sort of savory food do you like to cook? Erin: Soup. I love one pot meals, and all the different combinations you can make in a bowl. At one point when I was an undergrad, my friends and I even contemplated canning and selling the stuff. Recently, I've been making a wild mushroom number with shmaltz, fresh sage, and roasted garlic. Agatha: I have a serious love for making homemade pizza. My go-to toppings are aged provolone, porcini mushrooms, shallots, and greens from my rooftop garden. I also have learned how to cook killer Portuguese dishes, including tender-yet-crispy roasted octopus with piri piri. What are the most-loved tools in your home kitchens? 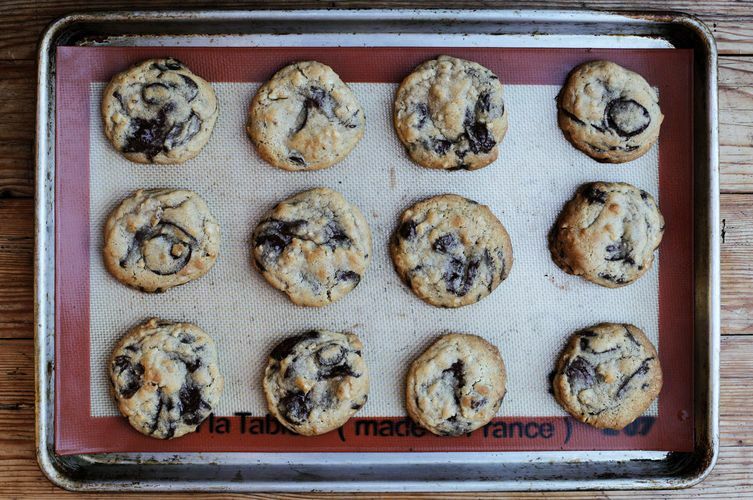 We love our scoops for portioning out perfectly shaped cookies. Our chisel (we have one dedicated only for kitchen use) for breaking up brittles and caramel corns. And our bench scraper for...well, for just about anything! Cutting, trimming, transferring ingredients into bowl, turning doughs, scraping surfaces to get them clean, etc. More: Alice Medrich loves bench scrapers, too. Here are her favorite ways to use them. What are some of the biggest mistakes -- or most common mistakes -- that you see home bakers make? One of the most common mistakes is that many home bakers will use dry measuring cups to measure wet ingredients and vice versa. The reason there is a difference is that those flat dry measuring cups are meant to be filled to the brim, then leveled off. Wet measures have a spout for easy pouring and are meant to be filled to a certain line (1 cup, 2 cups, etc), instead of to the top of the measure (which can easily cause spills). Another common mistake is forgetting to rotate pans during baking. Almost all ovens have hot spots; to ensure even baking, rotate your treats about halfway through the bake time. For the sake of time, we'll list our top books together. These are essentials for any home cook or baker! 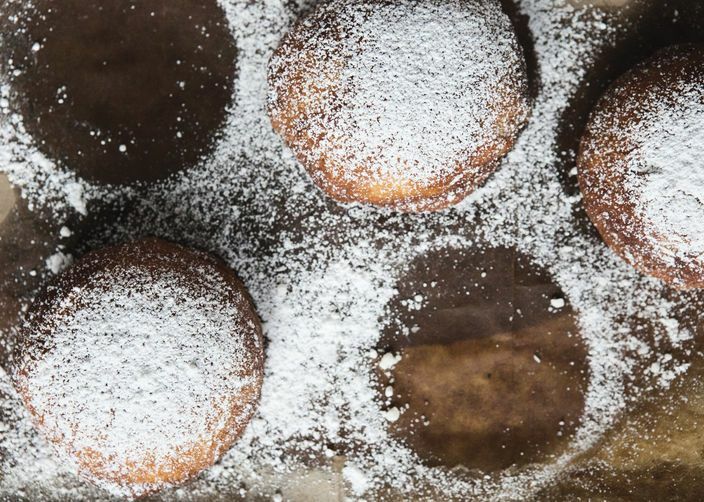 More: Try your hand at Ovenly's Paczki with Prune Butter, then experiment with adding your own fillings. 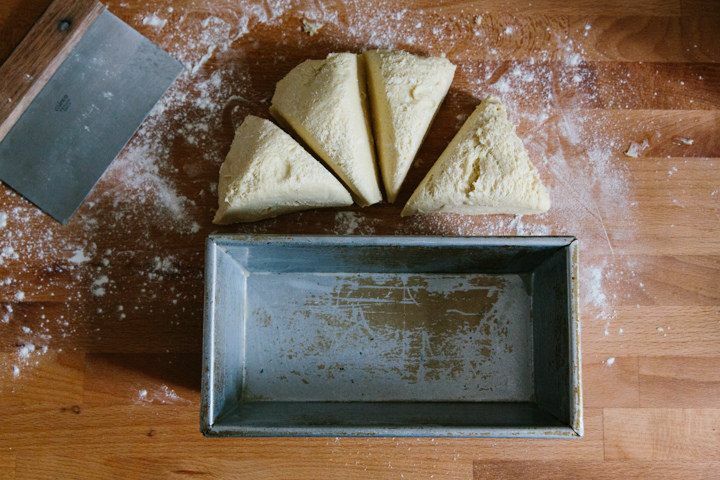 Is there one key ingredient that you think can make and baking recipe better? Full-fat dairy. Try not to substitute it with any no- or low-fat or man-made versions. Fat is flavor! And will make everything you bake taste better. How has Brooklyn shaped your business and your cooking? 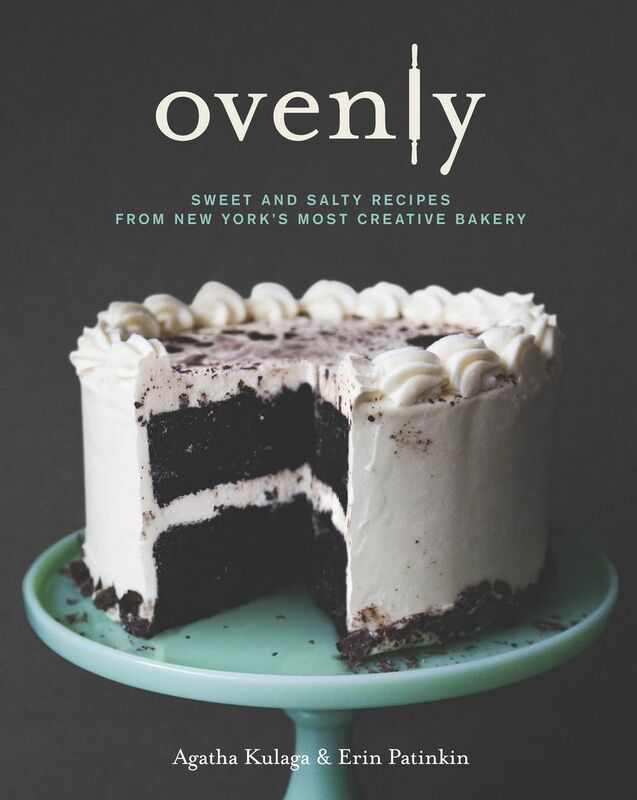 We started Ovenly at a time when Brooklyn was becoming a home for new and adventurous cooking, and when bakers, candy makers, butchers, chefs, cheesemongers, and more from the borough were finally gaining much-deserved credibility. Those creative food entrepreneurs inspired us, and helped to show us that taking a risk, changing our careers, and starting our own business was worth it. Those role models are also now our colleagues, and we've found a real community of collaborators (and commiserators!) here. But we didn't start in Brooklyn for that reason; we started here because Brooklyn has always been our home since we both moved to New York. When we settled Ovenly in Greenpoint, where we both live, we were happy to find that the community welcomed us with open arms. We love and appreciate our supportive neighborhood and clientele -- without them, we wouldn't have gotten anywhere! 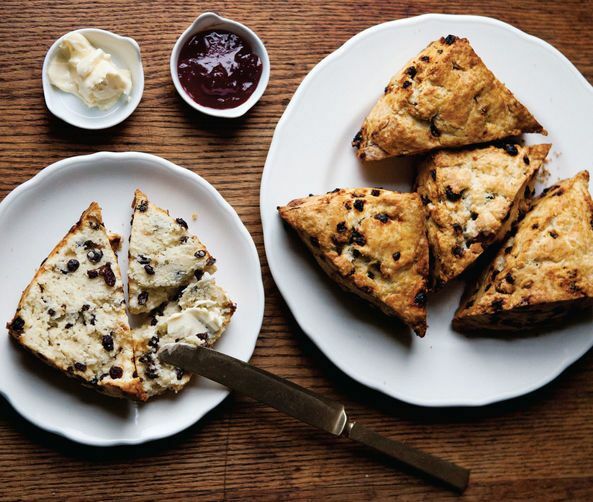 What makes your scones so f*%#ing good? BUTTER AND HEAVY CREAM! And a gentle hand when folding and kneading your (very cold) ingredients together. Update: Gary W. Hodges and Katrina Razionale are our winners! We hope you enjoy your copies of the Ovenly cookbook. If I were a cookie, I'd be one of the ones placed by a loving family member on the cookie table at a Pittsburgh, PA wedding - baked with love, in celebration of love shared. If I were a cookie, I'd be one of those ginger lemon sandwich ones. Kitchen sink cookie, an oatmeal base loaded up with the works, chocolate chunks, nuts, coconut, you name it! I would be a Russian tea cake / Mexican Wedding Cookie! A thick, chewy ginger molasses cookie. Pumpkin pecan with a creamy, boozie, frosting. Spritz! Chocolate almond, of course!! Years ago my nephew, Graham, told me that sandwich cookies were my signature dish. At the time, I was a bit disheartened believing that my baking skills must have advanced further than cookies. Then again, there are worse things then having my family like the cookies I have made for them. I would be a ginger-molasses cookie with caramel filling. If I had a twin sister, she would be a chocolate chip and vanilla combo, made with Guittard chocolate chips, my niece, Emma's birthday request for several years now.